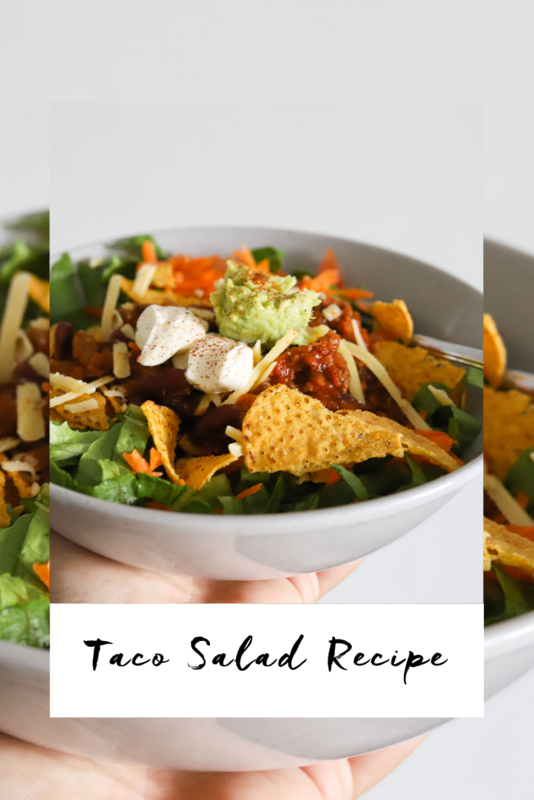 I love this Taco Salad for dinner (and leftovers for lunch haha!) Its a easy throw together dinner packed with flavour! I hope you enjoy this recipe and if you make feel free to tag me on instagram so I can share it!! 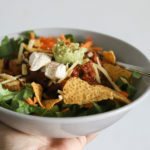 This is one of my fave all in one salad dinners! The flavours, textures and freshness are the perfect combination! Heat a dash of olive oil in a fry pan over medium to high heat. Brown off the mince and remove from the pan. Add another dash of olive oil to the pan and add in the onion, stirring and once the onion starts soften add in the garlic. Then stir in the tomato paste, spices, canned tomatoes, stock, kidney beans and add back in the mince. Cook until the sauce has reduced. 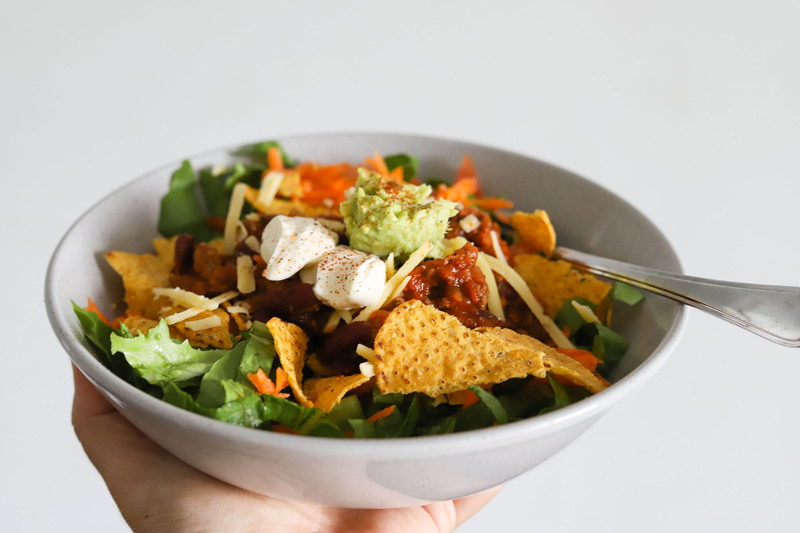 Layer the lettuce, carrots, tomatoes, crushed corn chips, mince mixture (chilli con carne), top with cheese, a dollop of cream cheese, crushed avocado and sprinkle with Chipotle salt!